Kenzie is writing a book? Why on earth has she not told us about this? Why have we not read it yet? Where is this book? Why am I not holding it? Well, I'm so glad you asked. ;) And I intend to answer these questions as thoroughly as possible. Yes, I am writing a book. And the reason why I have not told you yet is because I have been working on it non-stop. But I haven't done it alone. This is merely a collaboration between two girls who have known each other forever and decided that it was about time to write this darn book. Which, actually, is already finished. The first draft is, anyways. It was last December when Rosie came to me and was all like: "Yo, you wanna write a book together?" And then there was me, who had been wanting to ask the same question! So, with that I replied: "Brah, let's do it." Those weren't our exact words, but that pretty much sums it up. And while I was dusting off icky cobwebs from bookshelves and fireplace mantels, we chatted about what the genre of our new book and if it was going to be a series. We decided on a mixture of a dystopian, romantic, fantasy, realistic YA book. And yes, it is indeed a series. What is this book about? What is it called? The Visionaires is about three main characters; Gen, Maria, and Noah, who befriend each other and go on a mission for various reasons all joined by the same reason: Gen's sister is kidnapped. I don't want to give too much away but it's really awesome and I'm in love with all the characters and there's a ton of romance and sarcasm, and Noah is my bae. Shortly! But in the meantime, we have published two sneak peeks that are ready for reading! How can I read these sneak peeks? I'm glad you are as eager about this as I am. ;) To read our sneak peeks, all you gotta do is sign up for our newsletter and we shall send them to you ASAP. 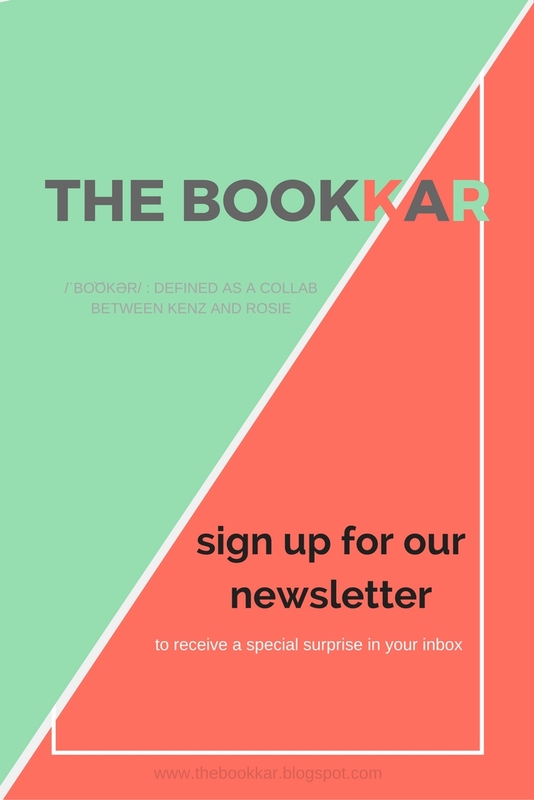 The BookKaR is defined as a collaboration between Rosie and I. Along with it being our website and writing community, where we plan to explore the wonders of writing and fangirl about our book series. We are also working on an eBook for our readers. For more updates, just sign up for our newsletter here. I'm so excited about this, and I cannot wait for you all to be introduced to The Visionaries. Plus, we have a really awesome Pinterest board for our collaboration. You should totally check it out. Gosh, why on earth haven't we done this sooner, Rosie?